Think about any time you have looked at a Porsche and wished that you could call one your own. Even if you are able to afford the cost of a brand new Porsche, such a payment is not necessary if you are able to find a quality used Porsche at a great price. When you shop with Carson Cars, you have the ability to look at a great selection of used Porsche cars for sale in Kirkland so that you can still budget out money for other items that you have to pay for. While working with our sales team at Carson Cars, you will always find that customer service and unmatched pricing with be just a few of the benefits that are available to you. We are a family owned and operated used car dealership that has been in business for nearly 50 years now and we look forward to making your dreams of sports car ownership a reality. Are you worried that you will not be able to get the financing that you need to make your dreams of Porsche ownership come true? We offer an in-house finance team that is always happy to work with you to find a great loan so that you can drive away happy. As a matter of fact, if for some reason we are not able to get you financing, we will actually pay you $500 for your trouble. How many other dealerships can say that? Are you looking for a Porsche to buy? 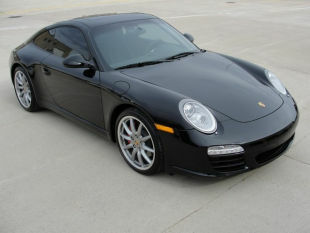 Call Carson Cars today at (855)583-9356 to learn all about used Porsche cars for sale in Kirkland at great prices. We look forward to meeting with you and helping you to find the best sports car to fall in line with your dreams.